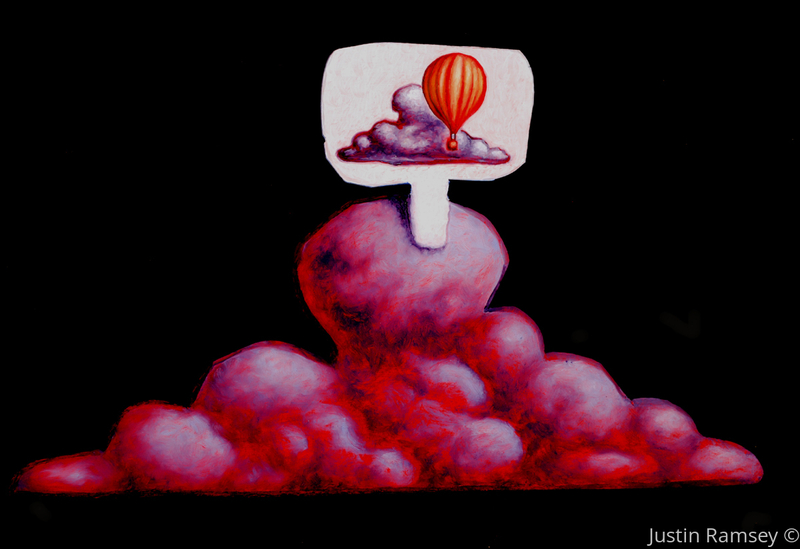 In the Private Collection of Nick Kovacs and Lauren Kari --------- Cloud crushing on a hot-air balloon. Another case of star-crossed Love. This is an original varnished oil painting on cut-out wood.